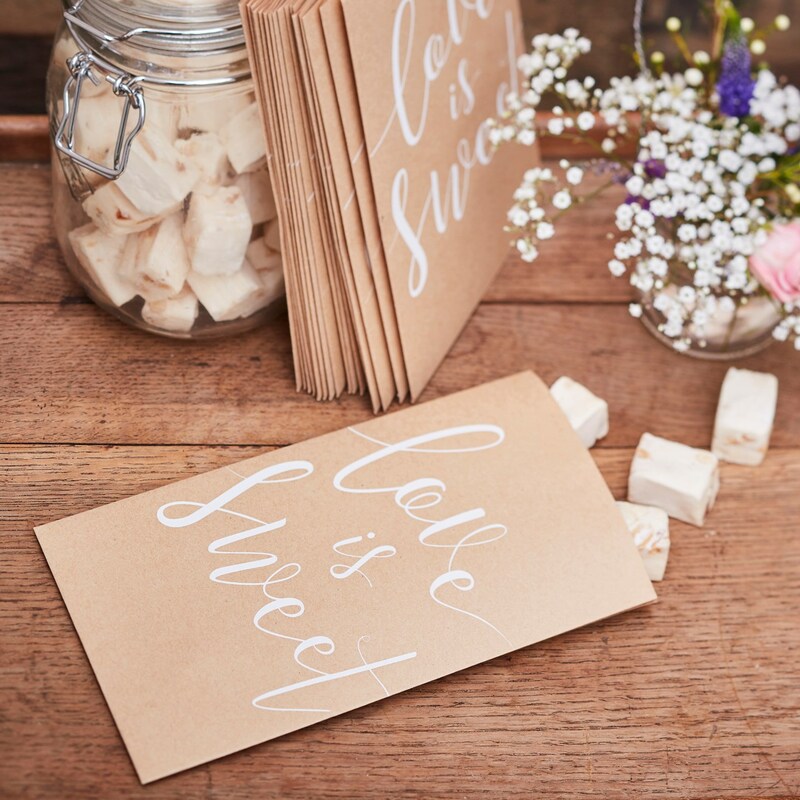 Add the perfect touch to your reception with our 'Treat Bags' in rustic country kraft paper. Guests of all ages will love filling these up with delicious sweets - a real treat to spoil your guests. The white scripted writing will look beautiful upon your sweetie table - totally irresistible. Make a sweet area for your special day and place our kraft paper bags next to tasty treats for guests to fill up. For added fun pop our best day ever fun glasses next to the treat bags and watch guests laugh away! Each pack contains 20 treat bags measuring 19.5cm (H) and 12cm (W).